The Ciutat Esportiva Joan Gamper (Catalan pronunciation: [siwˈtat əspurˈtiβə ʒuˈaŋ ɡəmˈpe]) is the training ground and academy base of Catalan football club, FC Barcelona, it was officially opened on June 1, 2006, and was named in honor of Joan Gamper, founder of the club. Located in Sant Joan Despí and covering 136.839 m2 it is used since 2006 for youth team training and matches and since January 2009 for the first team training. It is also used by many of the other sports teams at the club including Basketball, Handball and Futsal who use facilities such as the multi-sports pavilion. Now that this facility is fully operational, all the youth teams that previously used the Camp Nou facilities, mainly the Mini Estadi and the Palau Blaugrana, train there. 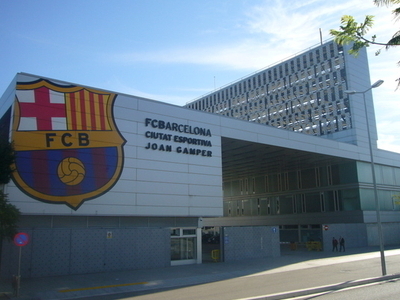 FC Barcelona's football first team moved to this facility on 19 January 2009. This brought to an end a 30 year history that the first team had of training on the small pitch (known as the La Masia pitch) annexed to the Camp Nou. 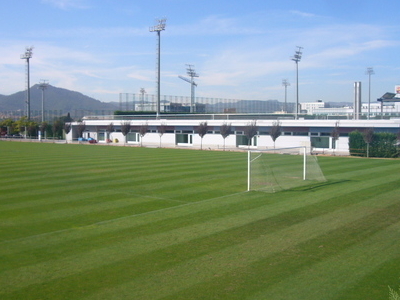 The first team facilities are the same as those at the Camp Nou and at the start of the 2009/2010 season it included a full pool and saunas for player recuperation. 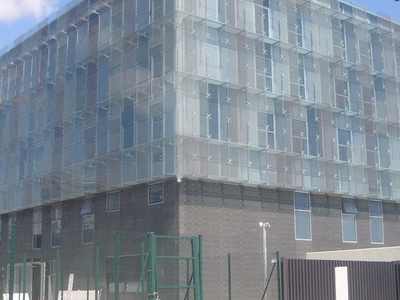 By 2011 a new residence was opened on site, housing the FC Barcelona's youth players who previously boarded at La Masia. This will include living space for around 85 players. The land occupied by the Ciutat Esportiva was purchased by the club in 1989 and is just 4.5 km away from the Camp Nou and is directly connected by the road between Barcelona and Sant Joan Despí. The Ciutat Esportiva eventually cost 68 million euros, of which 25.6 corresponded to urbanization and 42.5 to the total construction costs. The club sold two plots of land, the first on June 21, 2002 and the second on February 20, 2003, for values of 29.7 and 15.9 million euros, respectively to cover part of the costs of the operation. The rest of the money was invested directly by the club, an amount of 22.5 million euros. Here's the our members favorite photos of "Sporting Areas in Barcelona". Upload your photo of Ciutat Esportiva Joan Gamper!